Project performance models should serve as managerial measurement tools that evaluate the various aspects of projects with a holistic approach. However, predate models in the literature generally focus on limited performance indicators of projects - such as budget and time - for performance assessment and they lack broad perspective. In this respect, we aimed to introduce and propose a new model for the quantitative, effective and holistic evaluation of projects. The proposed model is originally developed as a conceptual approach by Livvarcin (2013) and entitled as The Bridge Model. In this study we enlarged the study and embodied the project performance parameters. In this study, we examine project performance by focusing on two different parameter groups: Process parameters and indicator parameters. Process parameters include seven elements of The Bridge Model, these are preparation phase, initiation phase, implementation phase, closing phase, post-project phase, project atmosphere and project actors. Indicator parameters are measures that are similar to the project parameters used in existing project performance models and they include cost, time, quality, performance of outcomes, motivation, development and competitiveness. We also performed a pilot study to figure out the performance of 42 different projects by using the performance parameters of the proposed model. We proved the validity and reliability of our model by using both quantitaive and qualitative methodologies. ABBASI, G.Y., AL-MHARMAH, H., 2000, ‘’ Project management practice by the public sector in a developing country’’, International Journal of Project Management, Volume 18 /2, ss.105–109. ANBARI, F.T., 2003,’’ Earned Value Project Management Method and Extension’’, Project Management Journal, Volume 34 /4. BARCLAY, C., 2008, ‘’Towards an integrated measurement of IS project performance: The project performance scorecard.’’ Springer Science, ss. 331-345. BELOUT, A. and GAUVREAU, C., 2004, ‘’Factors influencing project success: the impact of human resource management’’, International Journal of Project Management, Volume 22, ss. 1-11. BERKLEY, B. T. and SAYLOR, J. H., 1994, ‘’Customer-Driver Project Management’’, New York: McGraw-Hill. BOURNE, M., Mills, J., WILCOX, M., NELLY, A., and PLATTS, K., 2000, ‘’Designing, implementing and updating performance measurement systems’’, International Journal of Operations & Production Management. Volume 20/7, ss.754–771. CHAN, E. H. W. and CHAN, A. T. S., 2000, ‘’Imposing the ISO 9000 quality assurance system on statutory agents in Hong Kong’’, J. Constr. Eng. Manage, Volume 125/4, ss. 285–91. COLLINS, A. and BACCARINI, D., 2004, ‘’Project success - A survey. Journal of Construction Research’’, Volume 5/2, ss. 211–231. DAVID, J. B. and Gillian, H. W., 2007, ‘’Project Management Priorities and the Link With Performance Management Systems’’, Project Management Journal, ss 5-11. 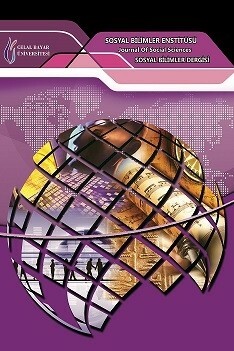 State Planning Organization (Devlet Planlama Teşkilatı), 1996, ‘’Investment and Project Description (Yatırım ve Proje Tanımı)’’, Ankara, State Planning Organization. DIN 69900, 2009. Project Management. Network Analysis. GLESNE, C., and PESHKIN, P., 1992, ‘’ Becoming qualitative researches: An introduction’’, NY: Longman, New York. HUGHES, T. and WILLIAMS, T., 1991, ‘’Quality Assurance’’, BSP Professional Books, Oxford. INCELER, H., 1995,’’ Economic and Social Implications of Technology Management (Teknoloji Yönetiminin Ekonomik ve Sosyal Etkileri)’’ Doctorate thesis. Social Sciences of Istanbul University Institute, Istanbul. JUN, L., QIUZHEN, W. and Qingguo, M., 2011, ‘’ The effects of project uncertainty and risk management on IS development project performance: A vendor perspective’’, International Journal of Project Management, Volume 29, ss. 923-933. KERZNER, H., 2005, ’’ Strategic Planning for Project Management Using a Project management Maturity Model’’, 2nd Edition John Wiley & Sons Company. Inc New York. s.19. KONCHAR, M. and SANVIDO, V., 1998, ‘’Comparison of US project delivery systems’’, J. Constr. Eng. Manage. Volume 124/6, ss.435–444. LIVVARCIN, O. 2014, ‘’An Analytical Model Proposal for Project Management: The Bridge Model, Presented in Vector Study Group 90 Minutes Workshop 1 (VSG-90mW-1)’’, Ankara, Turkey, 21 April. LOO, R., 2002, ‘’Working towards best practices in projectmanagement: a Canadian study’’, International Journal of Project Management. Volume 20 /2, ss. 93–98. MCHUGH, O. and HOGAN, M., 2010, ‘’Investigating the rationale for adopting an internationally-recognised project management methodology in Ireland: The view of the project manager’’, International Journal of Project Management, Volume 10. MILOSEVIC, D and PATANAKUL, P., 2005,’’Standardized project management may increase development projects success’’, International Journal of Project Management, Volume 23, ss.181-192. MUNNS, A.K. and BJERMI, B.F., 1996, ‘’ The role of project management in achieving project success’’, International Journal of Project Management, Volume 14/2, ss 81-87. P2M., 2005, ‘’A Guidebook for Project and Program Management for Enterprise Innovation’’, Project Management association of Japan (PMAJ). PATTON, M. Q., 2002, ‘’Qualitative evaluation and research methods, 3rd edition ‘’, Thousand Oaks, CA: Sage Publications, Inc.
POLIT, D.F., BECK, C.T. and HUNGLER, B.P., 2001,’’Essentials of Nursing Research: Methods, Appraisal and Utilization, 5th Ed’’, Philadelphia: Lippincott Williams & Wilkins. Project Management Institute, 2001, ‘’ A Guide to the Project Management Body of Knowledge(Pmbok), forth ed’’, Project Management Institute, Newtown Square, PA.
QURESHI, T.M., WARRAICH, A.S. and HİJAZİ, S.T., 2008,’’Significance of project management performance assessment (PMPA) model’’, International Journal of Project Management. RICHMAN, L., 2002, ‘’Project Management Step-by-step’’ : AMACOM, New York. SAI, O.C., HENRY, C.H.S and KEVIN, K.W.C., 2004, ‘’PPMS: a Web-based construction Project Performance Monitoring System’’, Automation in Construction. Volume 13, ss. 361-376. SCHWALBE, K., 2007, ‘’Information Technology Project Management Course Technology’’, Thomson Learning . Boston, MA. SHARMA, V.K., 2013, ’’Earned Value Management: A Tool for Project Performance’’, Advances In Management. Volume 6, ss.37-42. SMYTH, H.J. and MORRIS, P.W.G., 2007,’’An epistemological evaluation of research into projects and their management: Methodological issues’’, International Journal of Project Management. Volume 25/4, ss. 423-436. SRIVANNABOON, S., MILOSEVIC, D.Z., 2006, ‘’A two-way influence between business strategy and project management’’, International Journal of Project Management. Volume 24/6, ss. 493– 505. SUVACI, E., LEZKI, S., UYSAL, O., ONCE, S., Er, F. and SIKLAR, E., 2013, ‘’ Project Management (Proje Yönetimi)’’, Anadolu University Press (Anadolu Üniversitesi Yayını), Eskisehir. TURNER JR.,1999,’’ Editorial: Project management: a profession based on knowledge or faith’’, International Journal of Project Management, Volume 17/6, ss. 329–30. WALLACE, L., KEIL, M. and RAI, A., 2004, ‘’How software project risk affects Project performance: an investigation of the dimensions of risk and exploratory model’’, Decision Sciences. Volume 35 (2), ss. 289–321.